A consumer commission in India has ordered Air Canada and its partner Jet Airways to pay a Canadian family about $65,000 Cdn to compensate for the “mental agony and harassment” they suffered when Air Canada forced them off a flight. 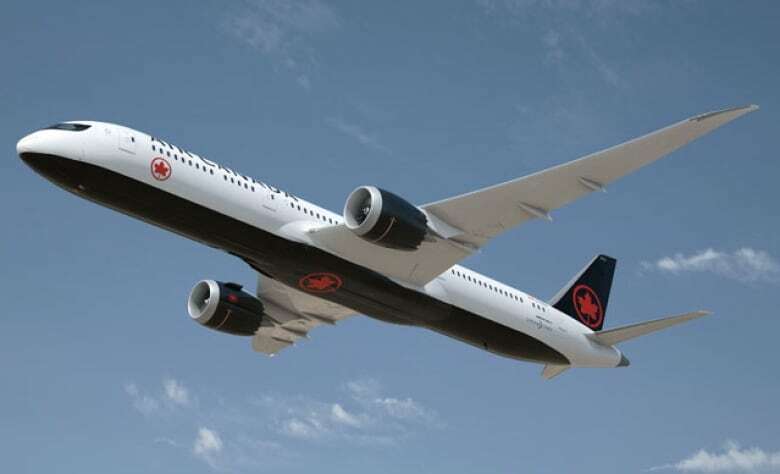 A consumer commission in India has ordered Air Canada and partnering airline, Jet Airways, to pay a Canadian family about $65,000 Cdn. The money is meant to compensate the family for the "mental agony and harassment" they suffered when Air Canada ordered them off a flight. In September 2017, Minali Mittal from Oakville, Ont., and her two young children boarded a Toronto-bound Air Canada flight after a stopover in New Delhi. According to Mittal, her 11-year-old daughter Teesha threw up due to a bad smell on the plane. Cabin crew said Teesha was unfit to travel and ordered the family to leave, stranding them at the airport. Mittal's son Rivansh was just three at the time. "I'm a very proud Canadian, but I just felt like this was the most un-Canadian thing that I've ever seen," said Mittal in an interview. The Punjab State Consumer Disputes Redressal Commission — which functions like a court — was scathing in its ruling. The family was "forcibly de-boarded from the aircraft on flimsy grounds" and left at the airport with no offer of food, water or even access to a phone, said the commission in a written decision. It condemned Air Canada for its "deficiency in service" and "violation of human rights," and blasted company staff Mittal dealt with for "rude" behaviour which "brought shame to the airline." The commission ruled India-based Jet Airways was also liable, because the family booked the flight through the codeshare partner airline, and flew Jet Airways for the first leg of their trip from Chandigarh, India, to New Delhi. Jet Airways declined to comment. Air Canada said it plans to contest the decision. "Our version of events is different," said spokesperson Peter Fitzpatrick in an email. The family had to leave the plane because Teesha was sick, he added. Mittal's troubles began when, after boarding the Air Canada flight, her daughter tried to use the washroom. The bathroom was locked and was emitting a foul smell that, according to Mittal, made Teesha nauseous, and she vomited near the door. Mittal says cabin crew became upset, and said the family had to leave. "They made us feel like criminals, the way they were talking to us." She said four male ground crew arrived and, despite her pleas to stay, escorted the family off the plane. "I was really crying by that time, honestly, because it was very humiliating." 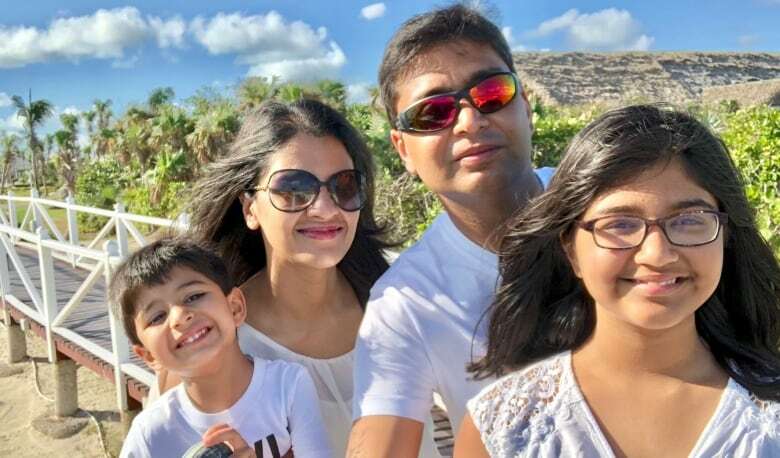 The family of three returned to New Dehli's airport around midnight and Mittal claims Air Canada staff offered no food, hotel accommodation and — at first — no alternative flight. "They told me 'You're on your own.'" She says she begged staff for another flight home and, after 12 hours of waiting, finally got new tickets. But the flight left two days later, leaving the family stranded until their departure. Meanwhile, Air Canada had sent their luggage home to Oakville. "We were very traumatized," said Mittal. "I didn't know they could do this to us." 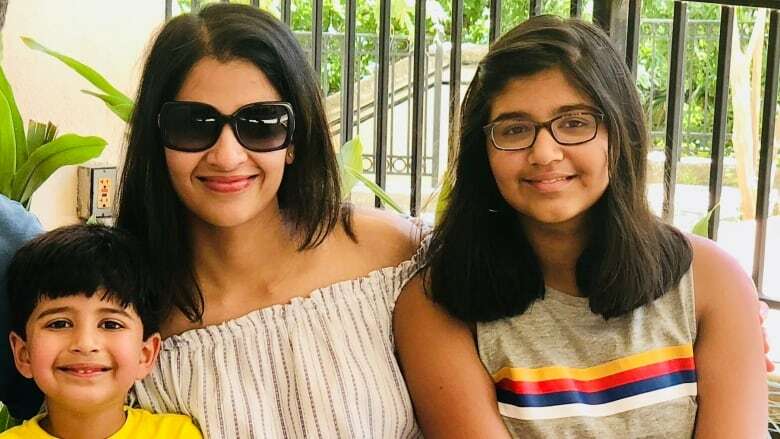 According to commission documents, Jet Airways argued it's not responsible because the family's problems occurred on an Air Canada flight. Air Canada said the family had to disembark because Teesha was ill and her safety could be compromised if her condition worsened mid-flight. If she required an emergency landing, that would inconvenience other passengers, the airline said. "We acted in the best interests of an ill child and for the well-being of all other passengers," Fitzpatrick told CBC News. According to the commission's decision, Teesha may have vomited, not because she was sick, but due to the smell from the plane's washroom. It also said Air Canada shouldn't have diagnosed the child without seeking medical attention. "An air hostess cannot decide if somebody's sick or unfit to travel," said Mittal. The commission also suggested that airlines, in general, need to address problems with discourteous staff and develop policies on when a passenger can be removed from a plane. Mittal says she's happy with the commission's decision and will continue the fight if Air Canada appeals the ruling. "Somebody has to stand up against them," she said. "I know I'm not in the wrong."